HCG, or Human Chorionic Gonadotropin, is a hormone naturally occurring in both man and woman, but produced in large amounts during pregnancy. Using the hormone along with 500-calorie/day diet will help you reach rapid weight loss results. 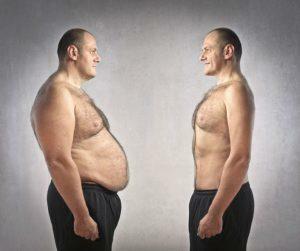 There are three types of fat: Structural fat that holds our organs; Fat that has been stored for energy. These two are “good” fats, and our bodies need them to function properly. The last one is toxic fat, this type of fat holds no value to our body. The hCG Weight Loss Program is a safe and effective method to lose weight and speed up metabolism. It is designed and supervised by a physician based on your personal needs and goals. Our Hcg Weight Loss program consists of daily hCG injections and weekly Lipotropic injections. We highly recommend combining hCG injections with a calorie restricted diet known as the hCG Diet Protocol. This 500 calories per day diet includes two servings of very lean protein, fruits and vegetables that are consumed several times throughout the day. Since the body is fueled by the calories released from stored fat, patients can maintain the diet without feeling deprived, tired or starved. The diet actually begins on the 3-rd day of the program. The list of allowed foods includes: veal, beef, chicken breast, turkey, fresh white fish, lobster, crab, or shrimp. Meats and vegetables can be broiled or grilled but must be prepared without any oils or butter. Vegetable choices include spinach, chard, chicory, beet greens, green salad, tomatoes, celery, fennel, onions, red radishes, cucumbers, asparagus, and cabbage. Fruits: apple, handful of strawberries, or half a grapefruit. The diet allows as much water, coffee, and tea, as needed. We will provide you with the detailed diet protocol during the first consultation. As a result, with the assumption of 100% commitment from the patient, most people can expect to lose 1/2 to 2 pounds of fat per day. Injecting daily doses of the hcg hormone and following the 500 calories diet are essential to the success of the program, as the hCG helps to ensure muscles is retained during the weight loss period. Allure Aesthetic Center offers 6 or 9 week programs. The program enables the metabolism to “reset” itself. The body gets adjusted to the new diet while the hCG kick-starts the burning of fat cells. Studies show that most of the weight loss should occur during the two to six week period, and once the diet comes to an end, the metabolism should remain functioning as it was during the diet – at optimum performance. After the 6 weeks course you can expect a 15-20-pound weight loss, and 20-30 pounds on 9 weeks program. Individual results may vary. * The doctor’s exam including blood work (if necessary). * Take home hCG guide with all instructions about the diet. * 21 pre-filled syringes with hCG. * 6 weekly Lipotropic Vitamin B-12 injections. * Weekly monitoring and consulting. * 42 pre-filled syringes with hCG. * 9 weekly Lipotropic Vitamin B-12 injections. Appetite supressants are prescription medications that reduce appetite and are used on a short-term basis to treat obesity and promote weight loss. Most of us can fail at diet because hunger wins the battle. Our center offers an effective combination of appetite suppressants and diet to make weight loss easy and free from hunger. Appetite suppressants make the body believe it is full. They block the hunger sensation by increasing two chemicals in the body – serotonin and catecholamine (affect mood and appetite). The first step in our Appetite Suppressant Program is the physical examination by the specialist and blood test. We use only FDA approved appetite suppressants that can be prescribed by a doctor. Our physician will develop an individual meal plan based on your personal needs. The doctor will see you on a weekly basis for monitoring and consulting the entire time while you are taking the drug. Complimentary we will provide you with 4 Lipotropic Injections. As with all medications, there are risk factors involved in taking appetite suppressants. Any side effects will be discussed with you at your initial visit. – Weekly monitoring and consulting. Lipotropic is a term that describes a component that breaks down fat. Lipotropic B12 injection is a combination of amino acids to burn fat and vitamin B12 to increase energy. Vitamin B12 – boosts energy levels. It also improves sleep, reduce allergies, stress, and depressions, and improves mood. Methionine, Inositol, and Choline – mobilize fat. Methionine assists in the breakdown of fats in the body, preventing buildup of fatty deposits in the blood vessels that might cause coronary artery disease and blockages in the neck and legs. It also helps to detoxify the liver of the toxins, which forms from foods, alcohol and medications that people take. Choline is a macronutrient that is responsible for normal liver and nerve functioning, brain development, muscle movement, supporting energy levels, and maintaining a healthy metabolism. Inositol is a member of the B-vitamins and a component of the cell membrane. It improves metabolic factors and reduces cholesterol in the body. Inositol is also used for treating diabetic nerve pain, panic disorder, insomnia, depression, schizophrenia, Alzheimer’s disease, attention deficit-hyperactivity disorder (ADHD), autism, psoriasis and promotes hair growth. L-Carnitine is a natural amino acid that plays a significant role in increasing the metabolism. It helps the body to turn fat into energy. We recommend Lipotropic injections once a week. Please contact our office to schedule a FREE consultation to determine which weight loss program is best for you.